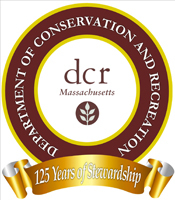 Do you have questions or suggestions which would help the Friends of the Middlesex Fells Reservation in our mission to preserve the Middlesex Fells as an outstanding example of recreation, conservation, and environmental education for the Greater Boston community? We encourage you to share your ideas, inspirations, stories, or concerns by using the contact form or by sending us an e-mail at the address below. If you want to share your photos or contact us in another way, you can find all of our contact information below the form. We look forward to hearing from you!